A small shrimp processing operation contacted Oceatec specialists to have its cooking system evaluated. Our team performed a technical and economic study to evaluate the costs and the relevance of converting a propane gas shrimp cooking system to an electrical heating source. 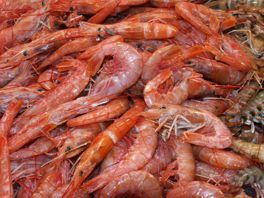 Being located in the Province of Quebec, Canada, where the electricity in the most economical source of energy, this evaluation was relevant for the management of this shrimp processing plant. This project conclusions provided, to the processing plant management, the precise information about the equipment costs for the conversion as well as the planned energy savings, based on their particular production. These information allowed them to take an enlightened decision and to take action to improve the plant profitability and to reduce its production costs. For us, the size of your operation is not an entry criteria. Contact us to discuss your fish equipment improvement project, big or small.